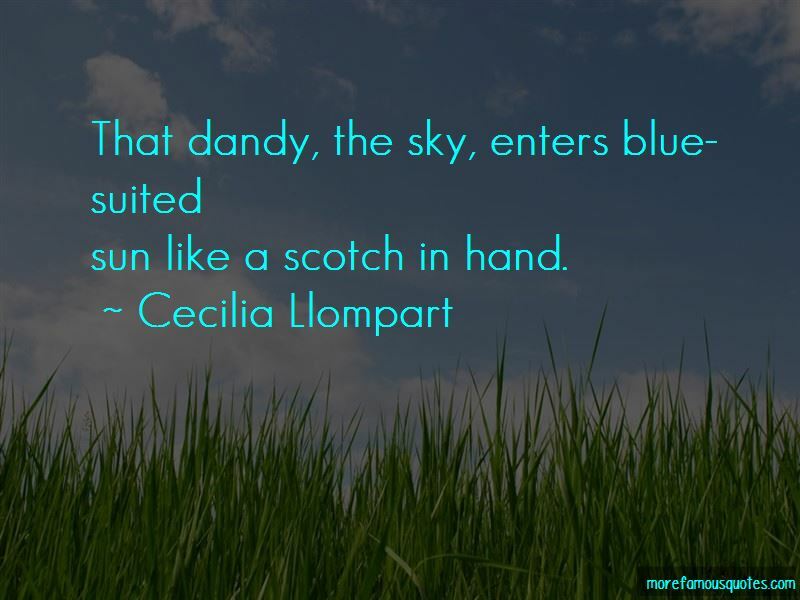 Enjoy the top 12 famous quotes, sayings and quotations by Cecilia Llompart. surely, Winter crawls out of mine. as plums, would win no blue ribbons. The crushed lavender of my knuckles. waiting for names in the graveyards. Darkness moves like a pack of wild dogs. The wind moves like a wounded animal. The ground must be full of teeth by now. 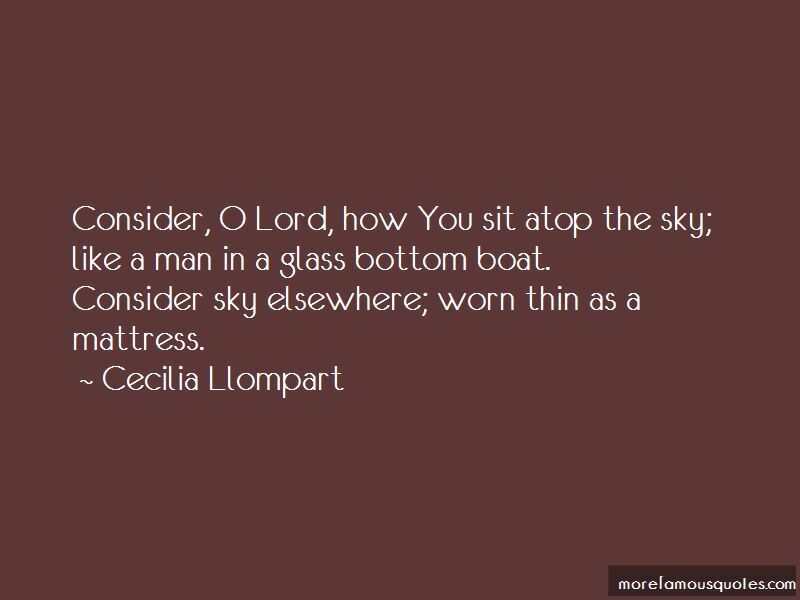 like a man in a glass bottom boat. as the Devil's own tongue. in every tree a black bird. 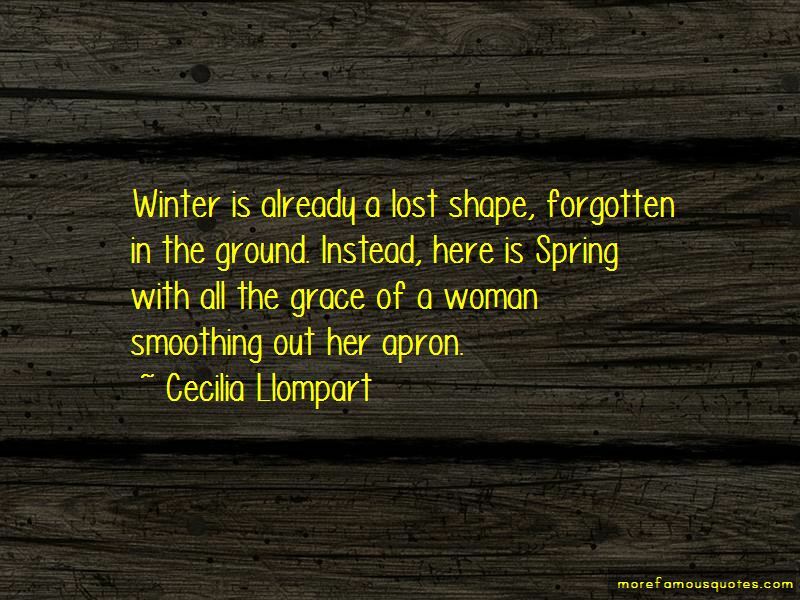 Want to see more pictures of Cecilia Llompart quotes? 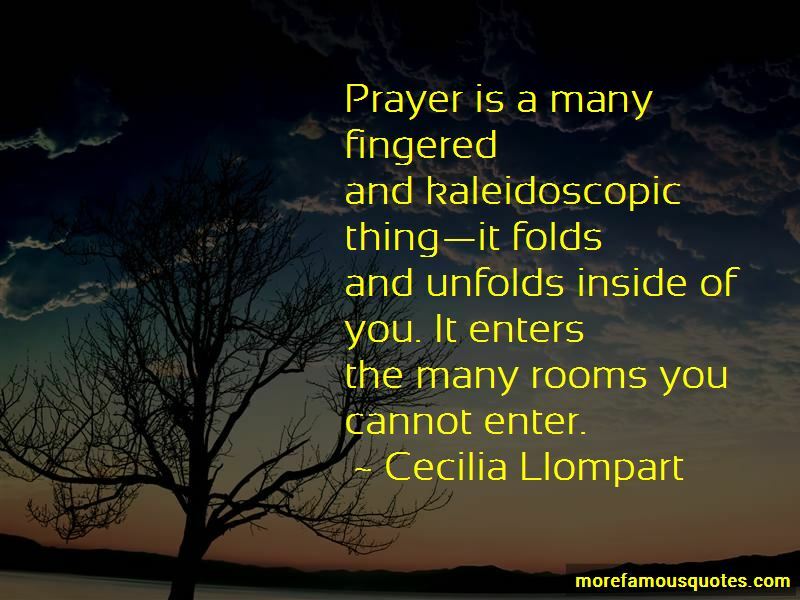 Click on image of Cecilia Llompart quotes to view full size.